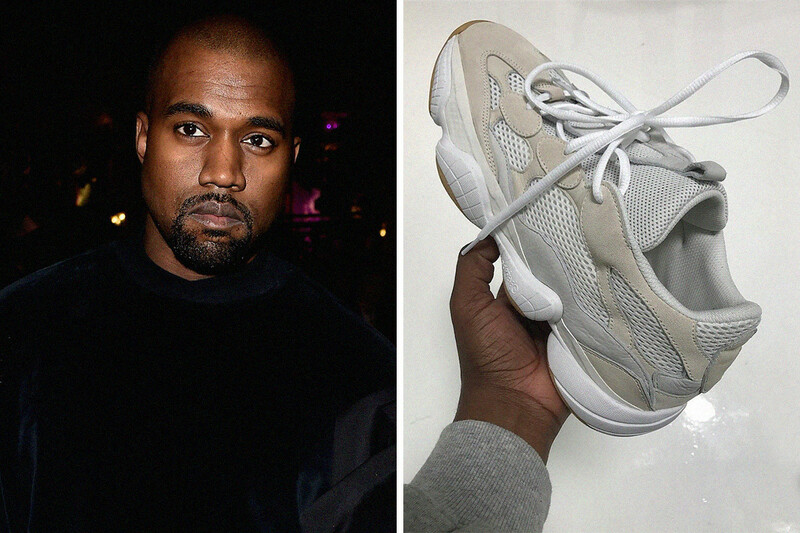 We know that Kanye West has been rocking a ton of top-to-bottom Yeezy fits these days, and the styling for his unconventional lookbook (i.e. candid shots of Kim K in Los Angeles styled by Carine Roitfeld) reflects this. 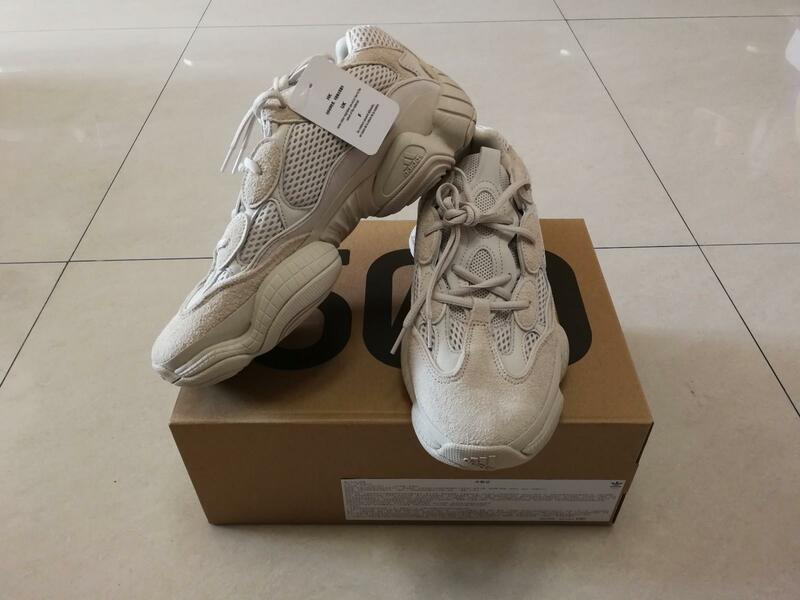 It makes sense, it’s his eponymous brand.Also the Yeezy Desert Rat 500 ‘Blush’ is the next will be more limited than the Yeezy Boost 350. So if you are so lucky to got one ,that is will be great. Anyway, I am so lucky to got one.Because we need to make an appointment online now, and then we also need to go to the store to waiting. 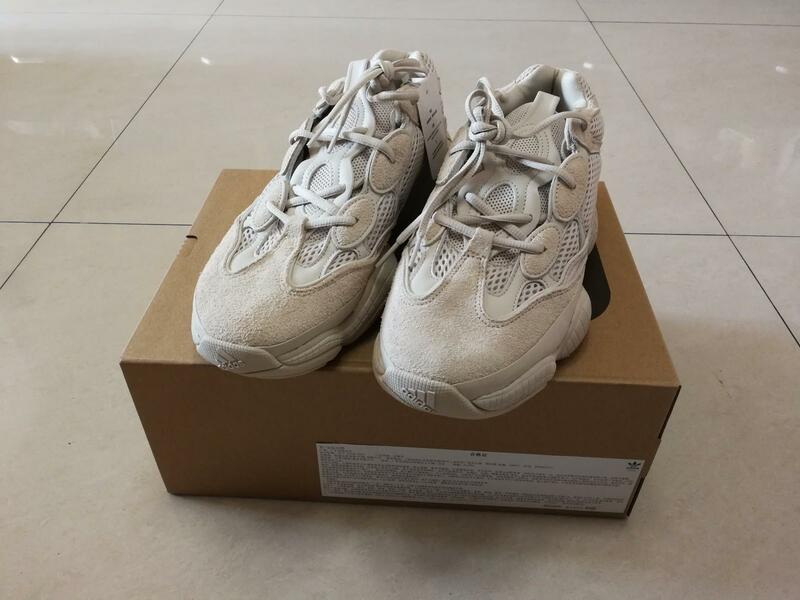 I was concern about the sale info of YEEZY, so I got the offline queuing code of YEEZY 500 smoothly. 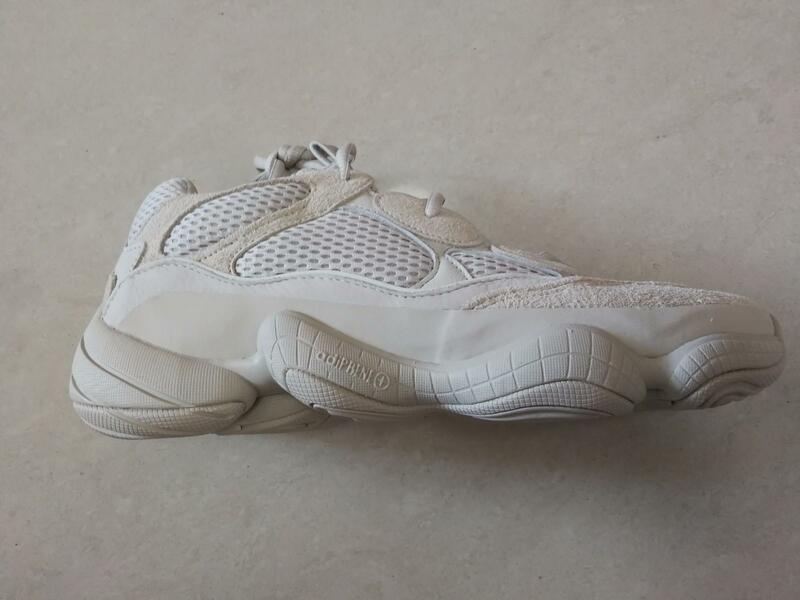 It is said that Adi’s appointment method has always been more reliable than Nike.The queue number was successfully received on the 13th, and the queue shop was distributed immediately.Then I got YEEZY 500 in that day. 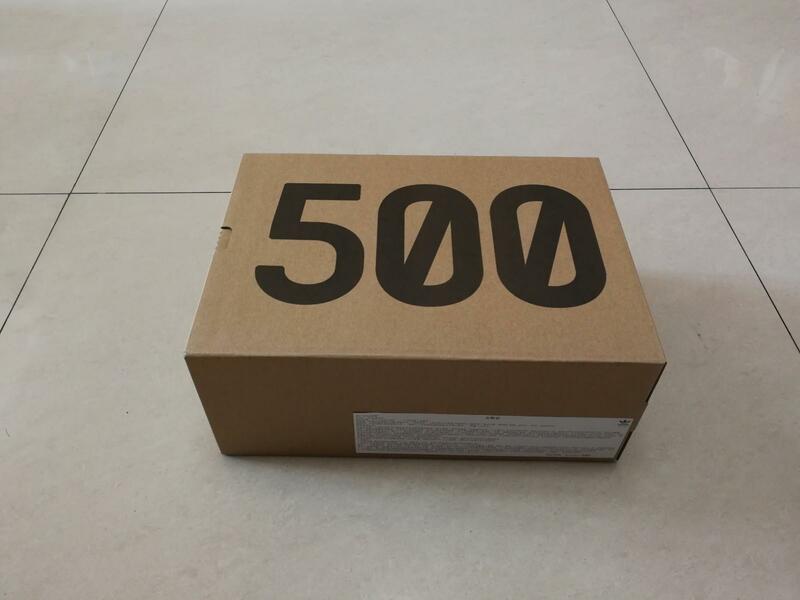 For the box ,It is simply.it is totally the same with the yeezy 350 , but just the logo ‘500’. 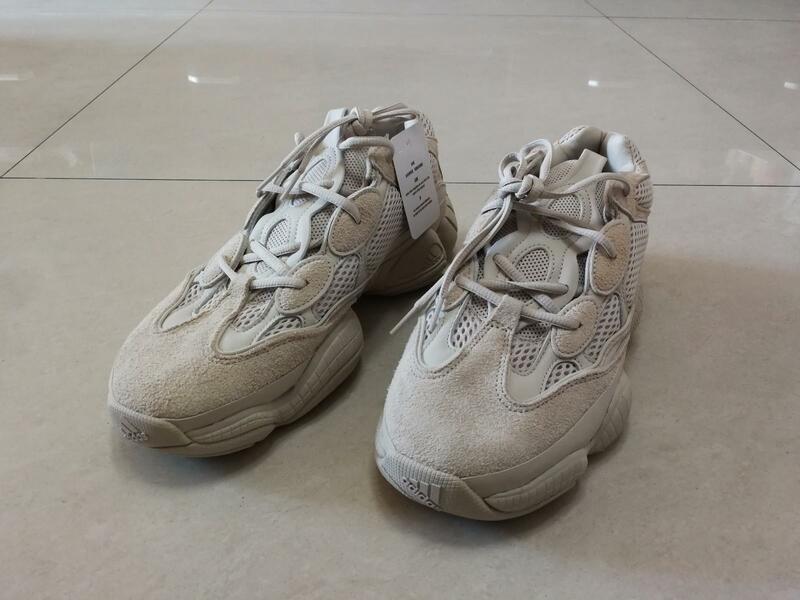 The ‘Blush’ colorway appears to be on the simple side of things as Yeezy Mafia also provided a picture of the ‘Blush’ colorway. For the material : it is constructed with a mesh underlay and suede overlays along the upper. 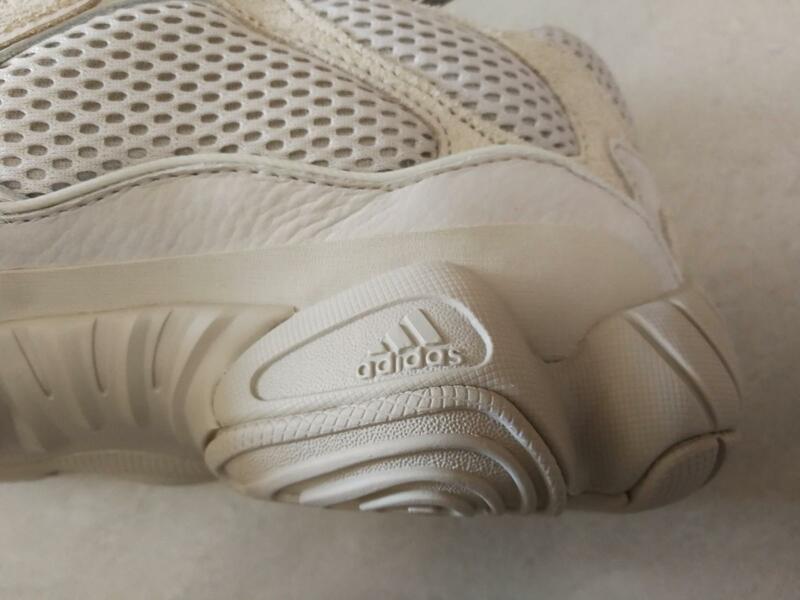 It re-uses an adidas tooling from the early 2000s,the material is soft and comfortable . 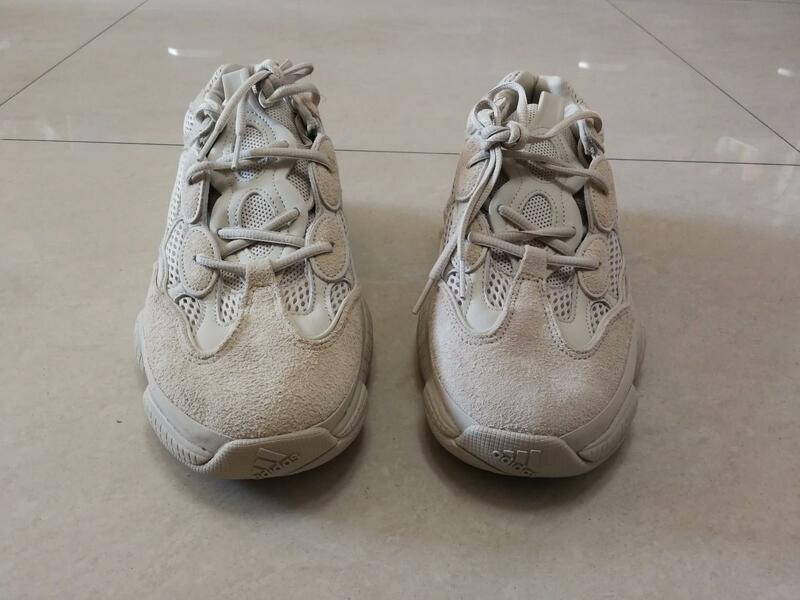 Then the ventilation, it is nice .maybe the material’s mesh of some part.It is make up the material of suede, because of the suede was zero ventilation.Upon wearing the shoes, we can feel a little bit of air. The touching , I mean literally just squishing the bulbs protruding from the side of the sole, they feel comfortable and full of support. Also it is comfortable, it’s evident that wearability was a priority with the design of this silhouette. For the supporting : it is great, a lot of supporting is from the material. 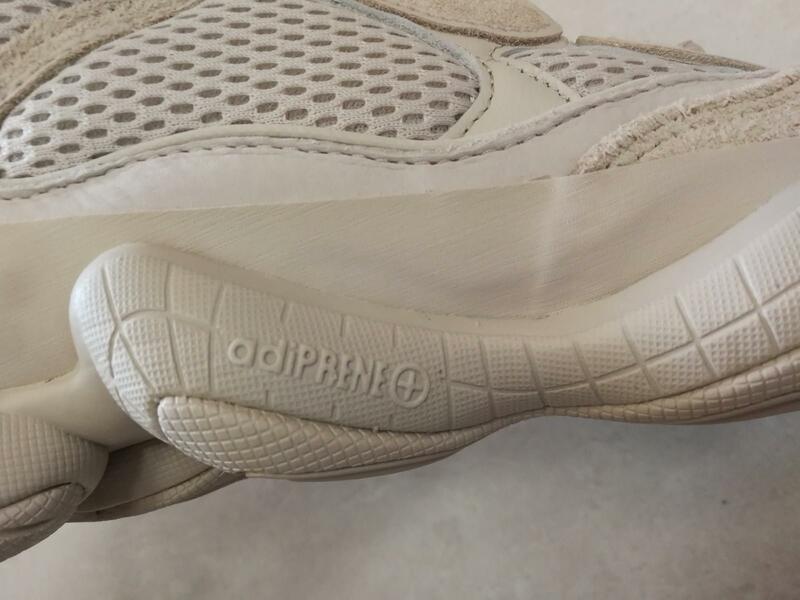 The new model is constructed with an adiPRENE outsole instead. 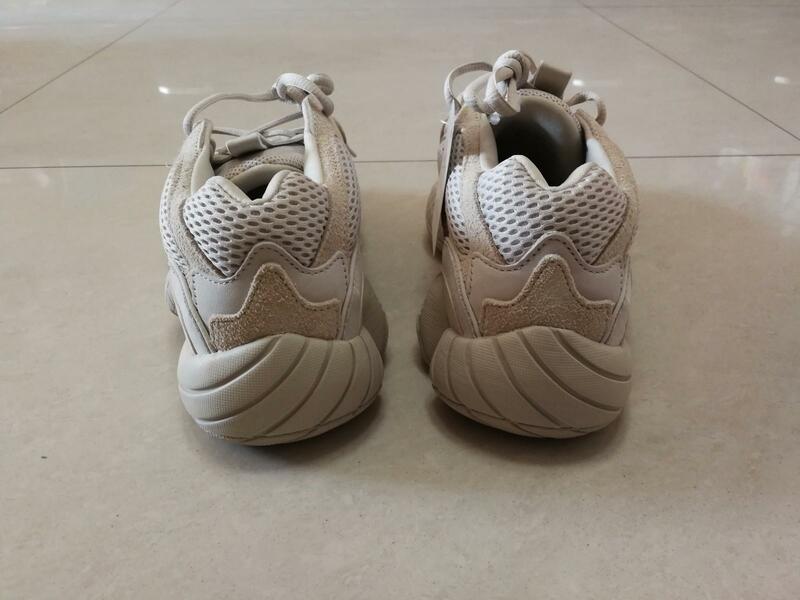 Because it is the representative of the daddy styles shoes, so it did not use the latest BOOST tech but followed the tradition styles , this is my explanation. However, upon wearing the shoes, my heart did not disappoint me. It is obvious that the rebound feels pretty good. 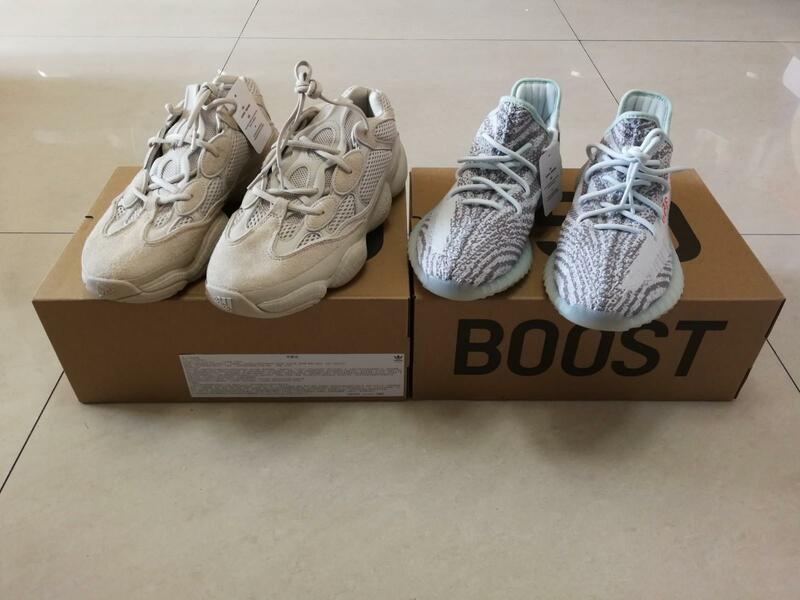 Although there is no BOOST . The 3M piping along the upper also adds a final touch to the contemporary look. For the traction: actually it is comfortable but lightweight for the daddy shoes. 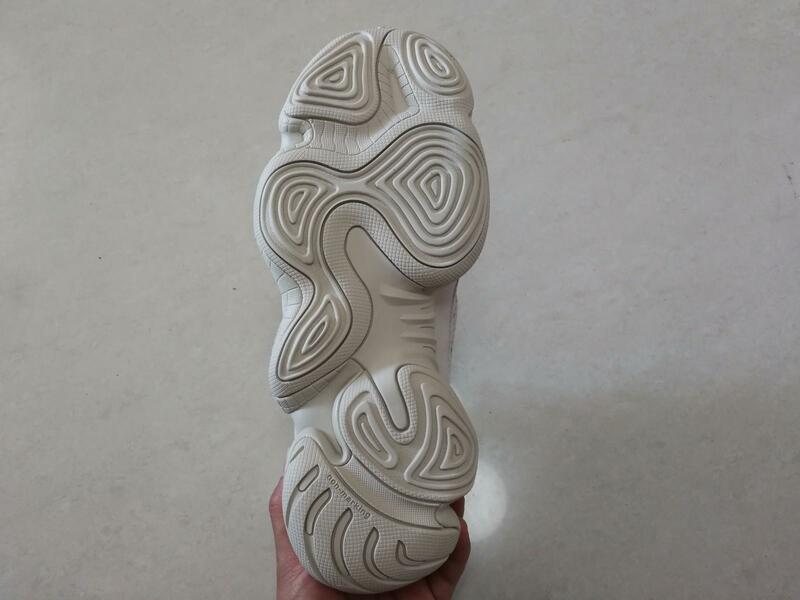 Also the grip is soft , but compare with other shoes , this one will be a little heavy. The orthopaedic is obviously , I’m sure most people aren’t copping them because they’re orthopaedic but it is undeniably a massive plus. We can see the details clearly.For the material of suede, you should keep it dry . 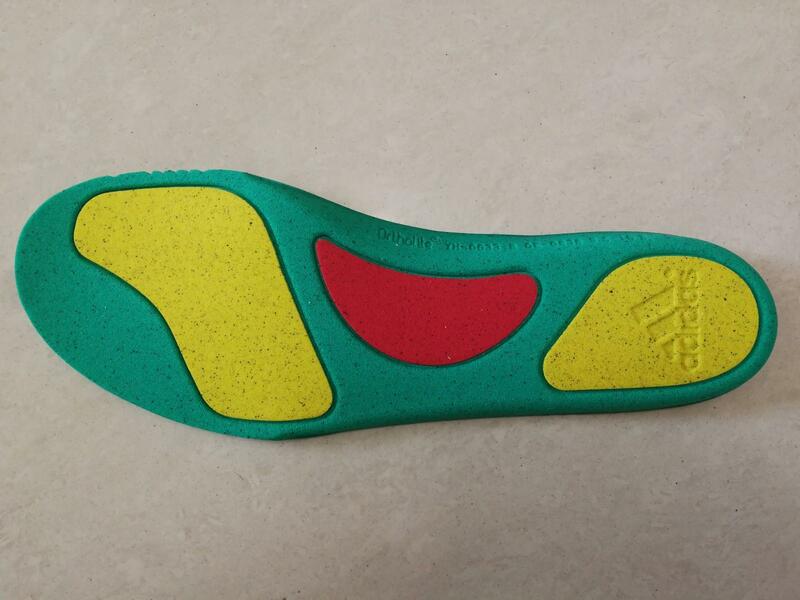 For the insole , it is comfortable .it is match with the design of this silhouette. 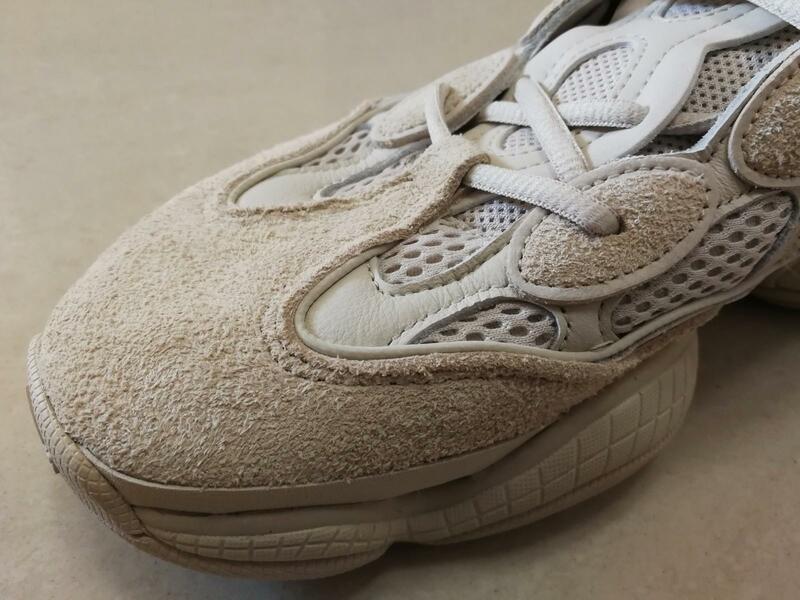 Desert Rats include an orthopaedic insole. 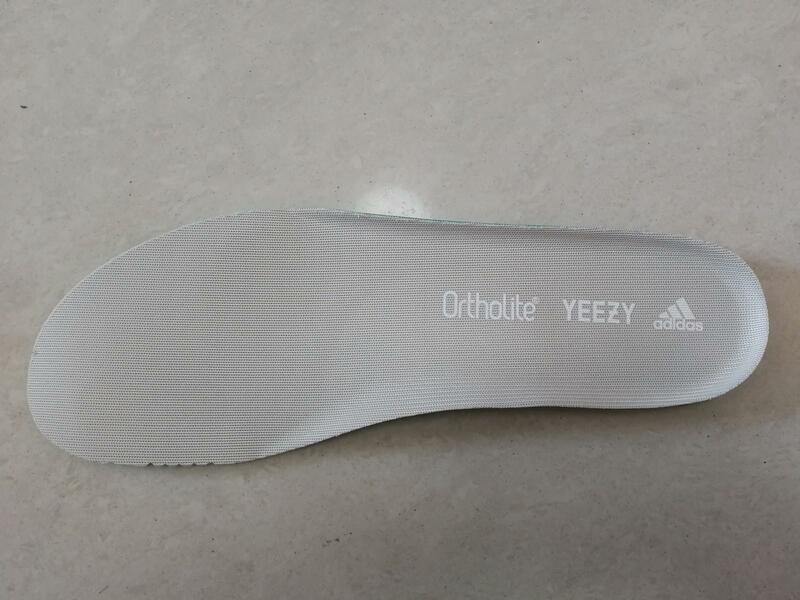 Partnering with respected orthopaedics brand OrthoLite, the insole is the perfect balance of cushioning and firmness. For the fitting , you can buy them true to size. 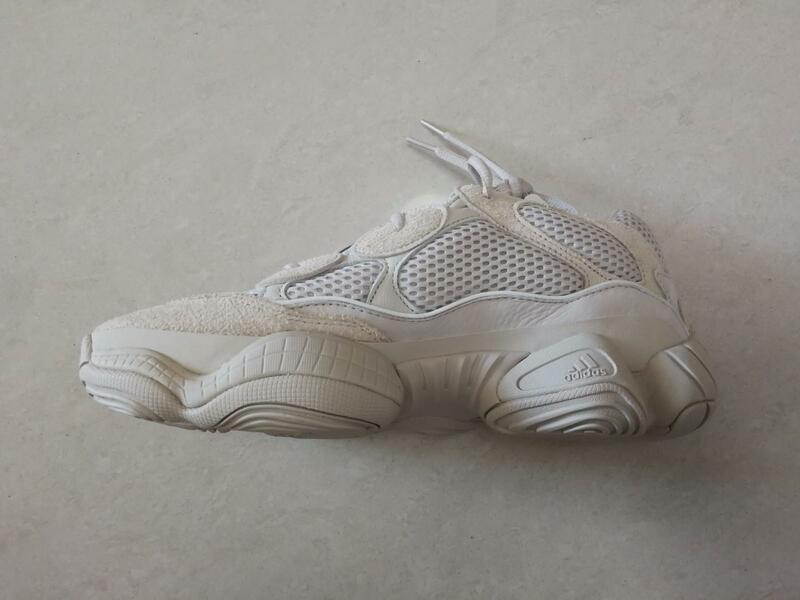 I do have quite a narrow foot myself, but the shoe feels spacious enough that I think they would be comfortably cozy for most feet types.But if you are wilder footer, maybe you can buy over a half size.Because the yeezy 500 will be narrow than the YEEZY 350. Overall, I love the palette and I find the sneakers effortlessly easy to pair with any spring look. 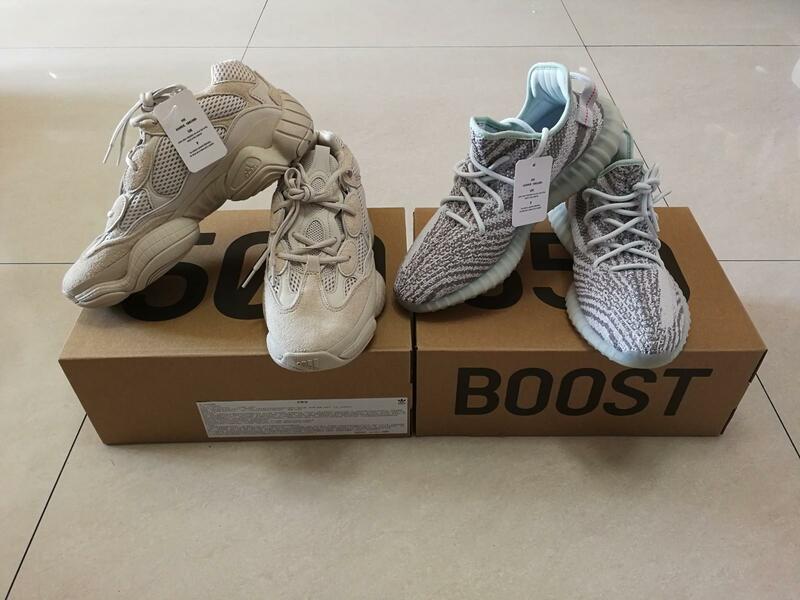 The great material and the soft cushioning ,then the colorway of Blush is cool, but there are some other colorway will be released soon , just choose the best one you like.